The time is upon us. Time is at hand! Battle stations, everyone! It's time for the kids to go back to school. I'll keep this post short in support of those running around making last-minute preparations, search every store from her to the Jersey shore for that Justin Bieber lunch box their child simply must have. Even though my own children are all grown and on their own now, I feel your pain. Our Grandson was accepted into a pre-K program at the school my wife works at - in another county! This means that, in order to accommodate his enrollment, we must provide transportation to said school in another county. So, we will be taking in another resident to our house for the school year. My grandson will be living with us about four days a week so we can wake him at the crack of dawn. Of course, would could not just buy a new bed and make him up a room. We also have a Granddaughter that would be awfully upset if we did not invite her over as well. So, it looks like bunk beds. I spent most of yesterday afternoon putting together a new set of bunk beds but I must say they look cute and I can't wait for the Grandkids to have the bunk bed experience. 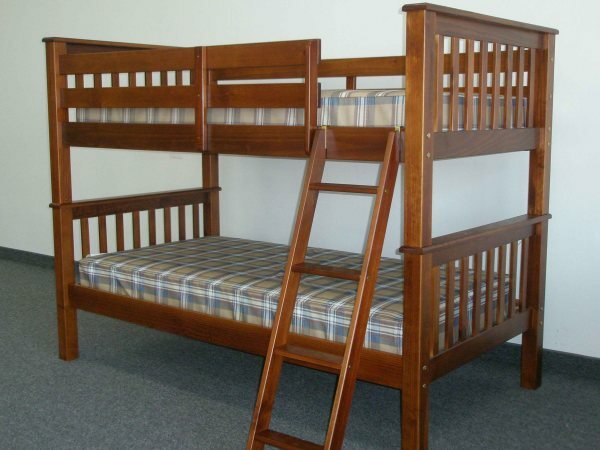 Well, now it seems the manufacturer must have hired some designers with bunk bed sleeping experience. The slats are now screwed into the frame, preventing them from falling through. The bunk beds are also much larger than I remember. Of course, my Grandchildren are only three and four years old. I slept in a bunk bed until I was about fourteen. Im in the crazy days myself. I have one child in Pre-K and one starting middle school. Its been a wild ride! At least Im not the only one who is suffering. I saw a whole Walmart full of wide eyed,on the brink,and fading fast parents today. I say to all,good luck and "this too shall pass.". I guess the next step will be helping our childern "pass" the school year.